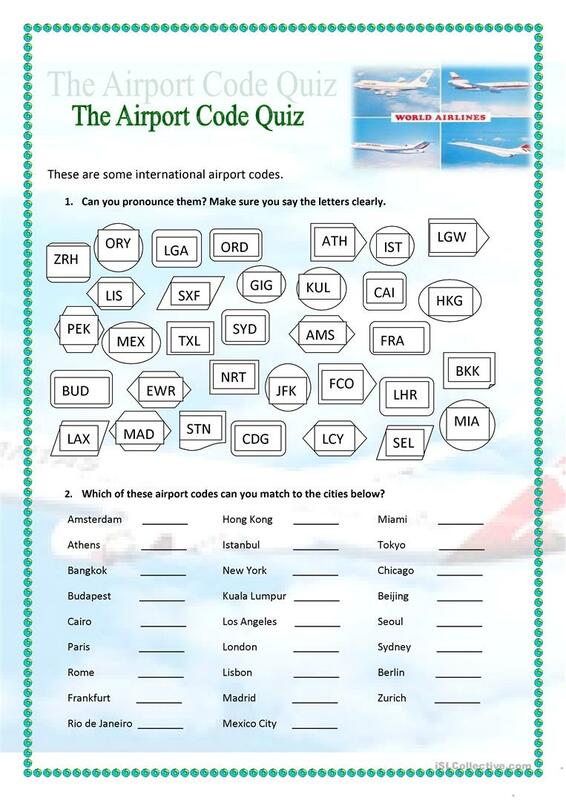 There are two activities concerning a number of international airport codes. The first one is a spelling exercise, the other one is matching. 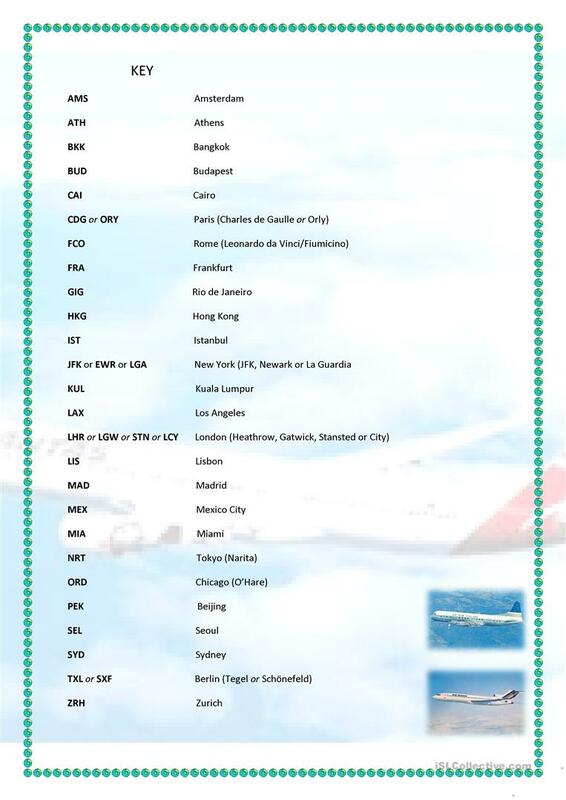 Ss need to match the codes up with the list of given cities . The key is included to the matching exercise. The above downloadable handout is a great resource for business/professional students, high school students, elementary school students and adults at Beginner (pre-A1), Elementary (A1), Pre-intermediate (A2), Intermediate (B1) and Upper-intermediate (B2) level. It is great for practising Nouns in English, and is useful for strengthening your students' Listening, Spelling, Speaking and Reading skills. It features the topic and words of Holidays. It includes a key, too.